Sen. Lisa Murkowski of Alaska became the first Republican in the Senate to sign onto a plan to give federal civilian employees a 2.6 percent pay increase this year and provide parity between military and civilian compensation. Murkowski announced Monday that she would cosponsor the Federal Civilian Workforce Pay Raise Fairness Act (S. 262), which would override President Trump’s executive order mandating a pay freeze for civilian federal employees in 2019. The 2.6 percent pay raise figure would bring civilian employees' increase in line with the boost approved for military service members last year. “I’m going to continue to fight for our good men and women, our nation’s federal employees, to make sure you are fairly and adequately compensated, to make sure that, in the job you have taken on and gladly so, that you are not only treated fairly with regard to your pay check but that we show you the respect that you have so honorably earned,” Murkowski told union members during the American Federation of Government Employees’ annual legislative conference. 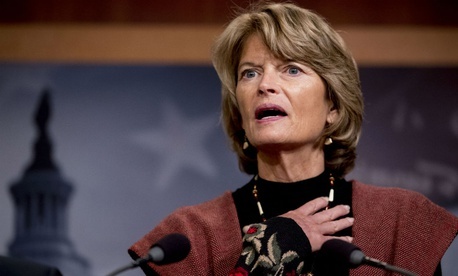 With Murkowski’s support, the bill is up to 19 cosponsors in the Senate, while companion legislation (H.R. 790) introduced by Rep. Gerry Connolly, D-Va., already passed the House 269-161. The bill received support from 29 Republicans in that chamber. The announcement fueled renewed confidence among federal employee groups that Congress would act to countermand the White House’s decision to freeze federal employee pay if and when lawmakers reach an appropriations package for the rest of the fiscal year, which ends Sept. 30. Lawmakers in both chambers of Congress had agreed to a 1.9 percent pay increase for civilian workers this year, although its enactment has been stymied by the ongoing conflict over how to fund the Homeland Security Department. But Cox said that any raise must be part of the deal to keep the government funded.